The device will sport a 6.4-inch, 800-by-480 touchscreen, and include Bluetooth and USB connections, Sony said. The company is also promising features like 55 watts of output, a 10-band graphic equalizer, rear camera support, and the ability to connect external amplifiers for more complex audio setups. Like many CarPlay-ready devices, the device will also support Google's Android Auto. In either case people should be able to trigger voice commands with a button. Sony is targeting a late November launch in North America, at a cost of $499.99. 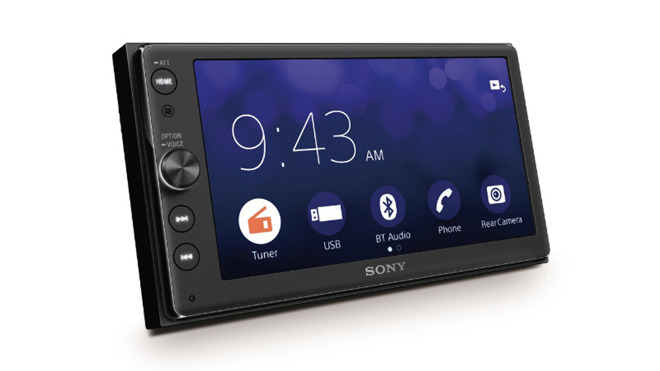 That pricetag may be one of the more important aspects of the AX100, since other CarPlay-compatible receivers often cost $100 or more extra, especially for models that don't use a resistive touch interface.